The world's most expensive diamonds are sold at auctions around the world. The world has always had a love affair with diamonds. No matter how things around us may change, our fascination and love for diamonds will always be there. Diamonds have always been recognized as something that has great value, and are worth more per volume than anything else in the world. At one time diamonds were a symbol of status. Only the wealthy possessed them and they would pass their diamonds down from generation to generation. Diamonds that are sold at auction are in a class all their own. To give some context about just how massive these diamonds are, the average size of a diamond engagement ring is 1.18 carats, with a range of 0.25 carats on the low end, and 4 carats on the high end. Diamonds and gemstones have all continued to increase in price as they are sold and re-sold at auction. Just like with fine art, there are diamond "hunters" in the auction world with the mission to create the perfect collection of heirloom diamonds and gemstones. Diamonds have been romanticized in modern times, as a diamond now symbolizes love and is worn as a symbol of commitment. No matter what you believe a diamond symbolizes, there is no doubt that people revere them. So, if you're looking to invest in an heirloom that will gain in value, invest in loose diamonds, artwork, or even antique wine. What sets these investments apart is the history associated with them, and their ability to retain and increase their value over time. Discover the beauty and staggering prices of famous diamond auctions and the most expensive engagement rings and diamonds ever sold at auction. Red diamonds are one of the rarest of all colored diamonds, because only a few of them exist. This is why they are sold for such hefty prices. Most of the existing red diamonds are classified as being part of the deep/vivid pink family. Red diamonds are rarely graded as Fancy Red, which means that they are pure red and contain no secondary colors. The Moussaieff Red diamond is a pure red diamond and the most well known Fancy Red diamond in the world. It was originally known as the Red Shield. It is a triangular brilliant cut and is internally flawless. It weighs 5.11 carats and is the largest known red diamond in the world today. 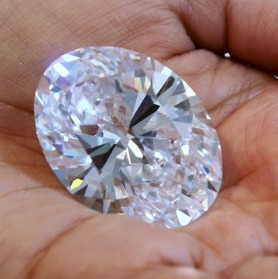 Moussaieff Jewellers Ltd. Acquired the diamond in 2012 for $8 million. After being purchased by the jewellers it was renamed the Moussaieff Red Diamond. This unique diamond was discovered in the early 1990s by a farmer in the Alto Paranaiba region of Brazil. The Heart of Eternity is a 27.64 carats (5.528 g) diamond with a color rated as Fancy Vivid Blue by the Gemological Institue of America. This diamond is very rare class of colored diamond. This blue beauty is one of the rarest colored diamonds in the world. The Heart of Eternity Diamond was discovered in the Premier Diamond Mine in South Africa. The Premier Diamond Mine is the only mine in the world that produces blue diamonds. The Heart of Eternity Diamond was originally owned by the Steinmetz Group. 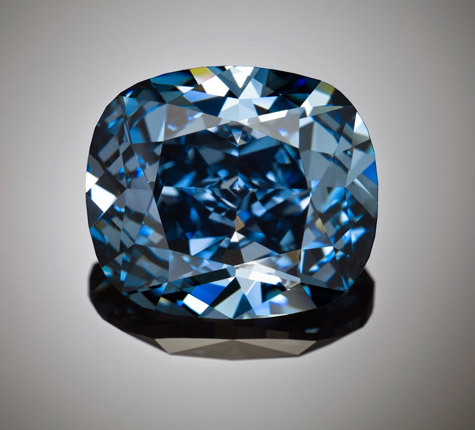 While in the possession of the Steinmetz group, the diamond was cut and its color was assessed as Fancy Vivid Blue. The Steinmetz group sold the diamond to the De Beers Group, who later sold it to Sayyid Qadri. 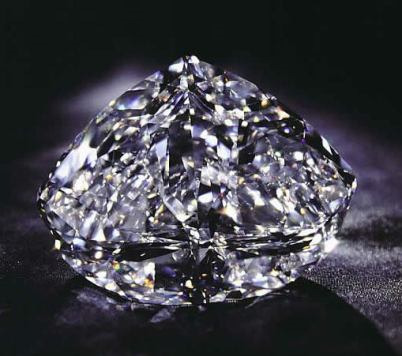 The Archduke Joseph Diamond is an internally flawless diamond. It is most famous for its outstanding pedigree in both origin and ownership. 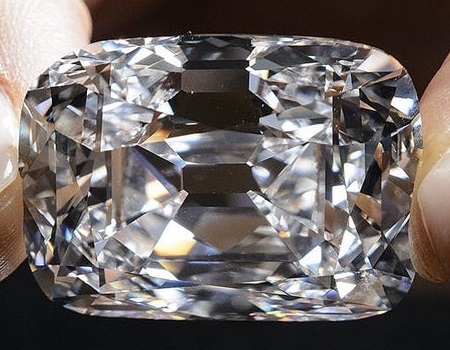 The diamond weighs 76 carats and was sold at the Christie's Geneva Magnificent Jewels auction for $21.5 million. The sale of the diamond set a world record for the sale of a colorless diamond. 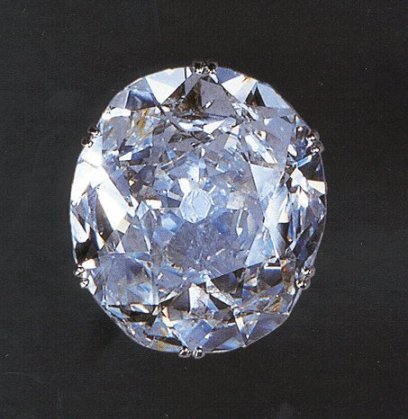 The Archduke Joseph Diamond is a cushion shaped diamond that was discovered in the Golconda region of India. It was discovered in one of the world's oldest diamond mines in not only India, but the world. The Wittelsbach Graff Diamond is not only stunning, but also an object of intrigue and legend. The diamond weighs 31.06 carats and has a royal past. The diamond's history can be traced to the 17th century and directly to Spanish King Phillip IV. King Phillip included the Wittelsbach Graff diamond in his daughter's dowry. The diamond would later become part of the crown jewels of Australia and Bavaria. Without a doubt one of the most famous diamonds in the world. Bought in 2008 for 23.4 million dollars by renowned jeweller Sir Laurence Graff as a fancy grayish blue diamond weighing 35.56 and repolished to 31.06 carat deep blue diamond. An action that raised many eyebrows due to the history and legacy of the diamond. 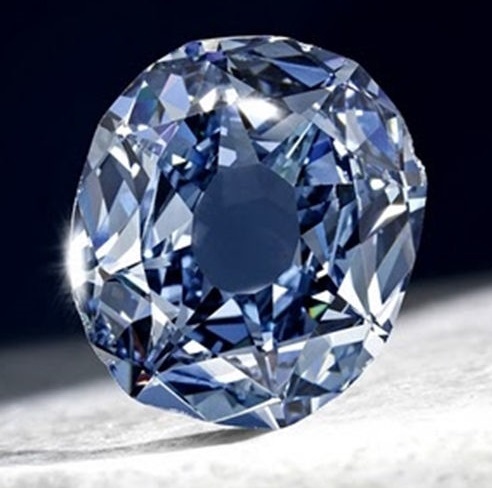 At that time the diamond was called the der Blaue Wittelsbach. Graff purchased the diamond from Christie's in London for $23.4 million. After purchasing the diamond, Graff hired a diamond cutter to remove all of the impurities and he renamed it the Wittelsbach Graff. The world's largest flawless vivid blue diamond, "Winston Blue" weighs in at 13.22 carats. The diamond was purchased by Harry Winston for $23.8 million at Christie's. 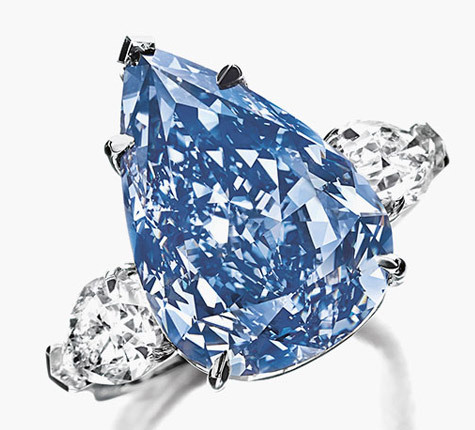 The approximately $1.8 million per carat price paid is a world record for blue diamonds. The Perfect Pink is a 14.23 carat fancy pink emerald cut diamond. In 2010, it was auctioned at Christie's Hong Kong for $23.8 million, making it the most expensive diamond ever sold in Asia. The Perfect Pink Diamond is a rare 14.23 carat diamond. The diamond was purchased by anonymous buyer after a heated bidding war with four other bidders. The sale of the perfect Pink Diamond smashed the world record for its selling price of a jewel at auction. The Perfect Pink is set in a ring made of 18kt rose and white gold, with smaller, colorless emerald cut side diamonds to enhance the pink diamond's sparkle. According to Christie's, in its 244 years of auction history, only 18 diamonds that were larger than 10 carats (with a pure pink color) have ever gone on the auction block. Diamond connoisseurs consider pink diamonds to be among the most beautiful of all gemstones and the Perfect Pink Diamond is considered to be just that. 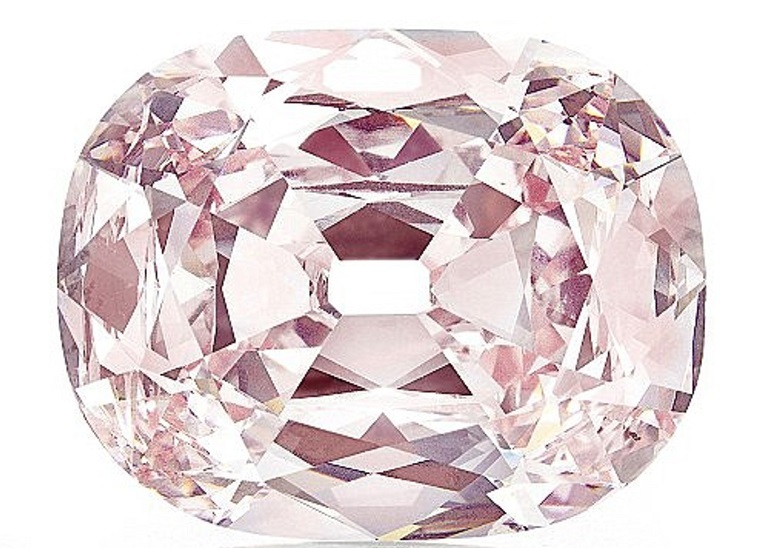 The Steinmetz Pink is one of the world's "finest" pink diamonds. The diamond was shared with the world for the first time back in 2003 in Monaco. For a short period of time, the diamond was worn in a necklace by supermodel Helena Christensen. The Steinmetz Pink Diamond was discovered in Southern Africa. It is classified as Fancy Vivid Pink by the Gemological Institute of America and is the largest Fancy Vivid Pink diamond in the world. Pink diamonds are usually discovered in smaller sizes and because of that, the Steinmetz Pink Diamond is an extremely rare find. The pink diamond weighs 59.60 carats. It has been graded as being internally flawless. 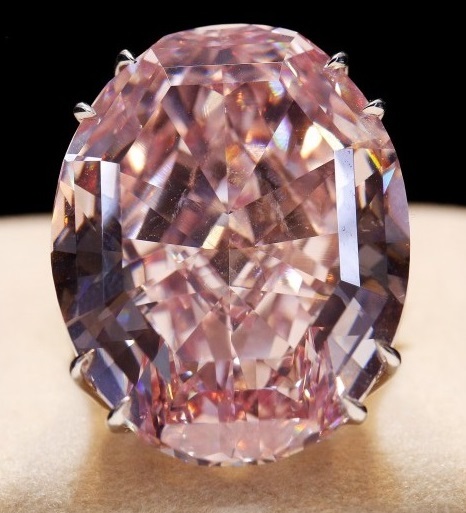 Since the Steinmetz Pink is so rare, the Steinmetz Group took nearly 20 months to cut the gem. The group assigned an eight person team to work on fashioning the diamond. The team worked on over 50 models before they began cutting on the diamond. The diamond has a very unique facet pattern. It has an oval mixed cut with a step cut crown and an extremely brilliant cut pavilion. 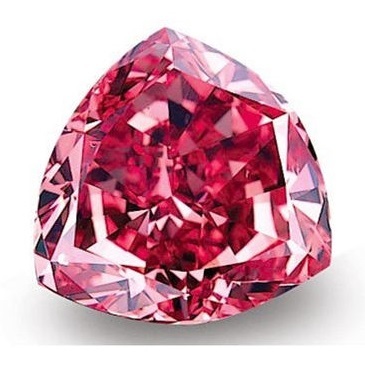 The Steinmitz Pink was displayed as part of Smithsonian's "The Splendor of Diamons" exhibition. Called "the 101" because of its 101.73 carat weight, this colorless pear-shaped diamond sold at Christie’s for $26.7 million in 2013. Aside from its massive carat weight, this diamond demands a hefty price tag because of its Flawless clarity grade and D color grade. There's nothing like a diamond sale that has a heart warming story behind it. 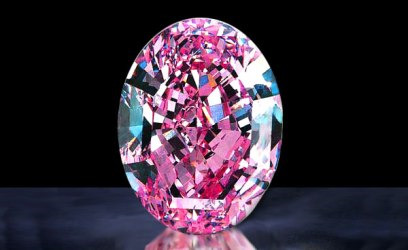 According to CNN, this pear-shaped, pink vivid diamond was purchased by billionaire Joseph Lau, who named the jewel after his seven year-old daughter. The 16.08 carat beauty was purchased for $28.5 million and while the price sounds staggering to most, the mogul has been known to purchase extravagant jewels in the past and rename them after his two daughters, Josephine and Zoe. No word on whether or not he's looking to adopt, so you're out of luck on getting a diamond named after you. Surprisingly, this 118.28 carat oval cut diamond hasn't been given its own unique name. 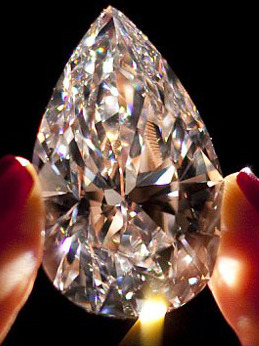 It holds the records for being one of the largest diamond and the most expensive colorless diamond to ever be auctioned. 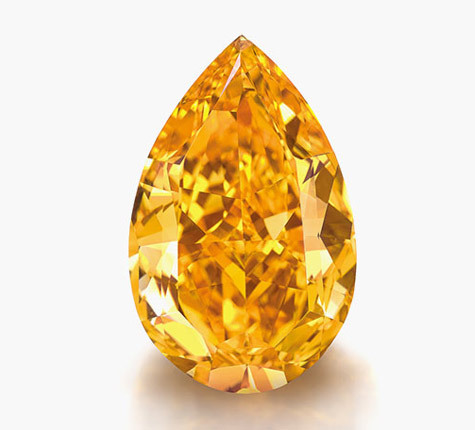 This 14.82 carat bright orange diamond broke a world record when it sold for 35.54 million euros in 2013. Generally, pink and blue diamonds are the most sought after, but this rare gem surprised the world with its orange beauty and size. 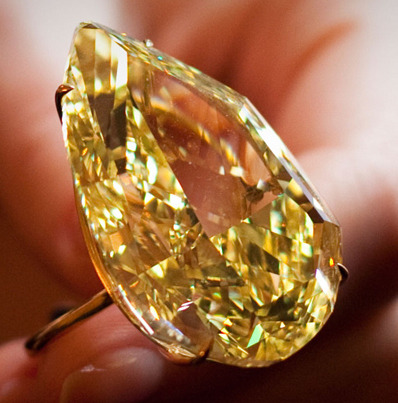 At about $2.4 million per carat, the Orange marks the highest price paid per carat for a colored diamond at auction. According to Forbes, the diamond's rare fiery color alone could be why this stunning beauty set the world record for the most expensive price per carat for any colored diamond sold at auction. The Princie Diamond is a very rare diamond that weighs 34.65 carats. 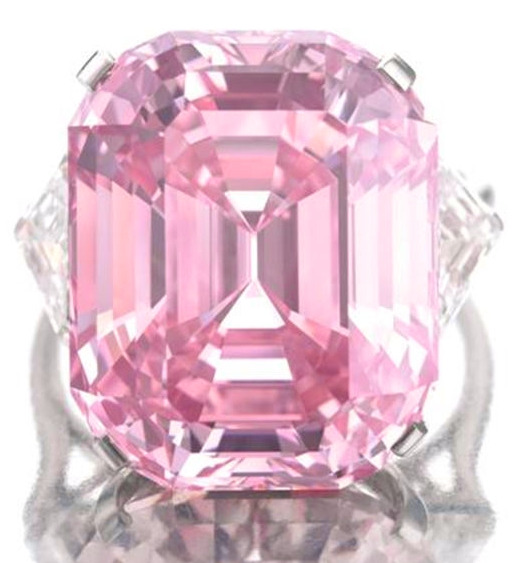 It is classified as Fancy Intense Pink and is cushion cut. Its history has been traced to the ancient diamond mines of Golconda of South Central India and to the Royal family of Hyderabad. In 1960, Nizam of Hyderabad sold the Princie Diamond to the London branch of Van Cleef & Arpels. The diamond was given its name during a party thrown by the Paris store in honor of the Prince of Baroda (14 years of age), who attended the party with his mother, the Maharanee of Baroda, an extravagant and famous socialite living in Paris. Pink diamonds are already a rare find and even more so when they are larger than 5 carats. 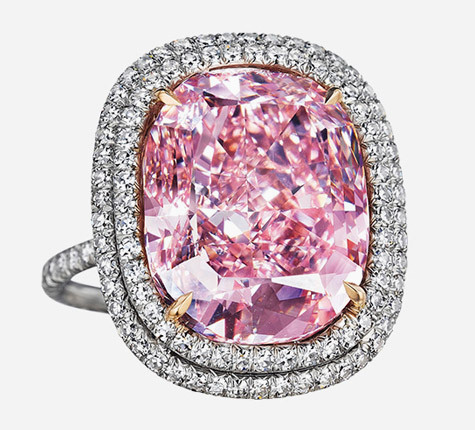 The Graff Pink is a natural marvel among pink diamonds because it weighs 24.78 carats. A rectangular 24.78 carat diamond, classified by the Gemological Institute of America as "fancy vivid pink" - the top classification of saturation. Laurence Graff bought the diamond, which has been placed on a ring, for $46 million. 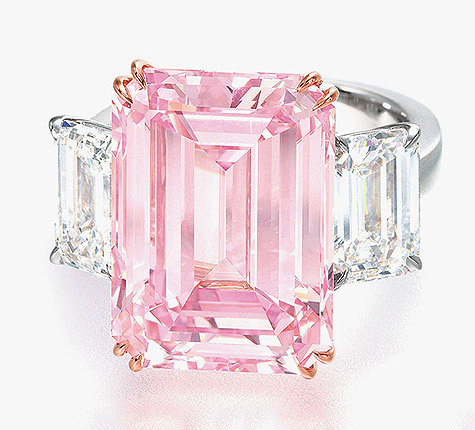 The Graff Pink was first owned by world renowned York jeweller Harry Winston. Winston kept the diamond in his private collection for more than 60 years. The Graff Pink diamond has a captivating hue and the GIA has graded it a Type IIa diamond, which means that the diamond has no visible impurities, nitrogen, differing fluorescence or visible absorption that may cause a yellow or brown tint. The Blue Moon Diamond in his new name The Blue Moon of Josephine is the proud owner to the title one of the most expensive diamond in the world! It is an Internally Flawless 12.03 carat Fancy Vivid Blue Diamond that his history goes back to 2014 when he was unearthed by Petra Diamonds. As the largest Vivid Blue diamond to ever appear at auction, the Oppenheimer Blue diamond sold for a dizzying $57.5 million in Geneva on May 18, 2016. The 14.62 carat diamond was named after its previous owner, Sir Philip Oppenheimer, who is also the former chairman of De Beers. The Oppenheimer sold for well above its asking price of $35 - $45 million; given its unusual beauty, it's not hard to see why. The Pink Star is the largest known diamond to receive a Vivid Pink color grade and just sold for a whopping $71 million in Hong Kong. After five minutes of bidding at Sotheby's, the oval-shaped 59.6 carat pink diamond broke the record for the highest price ever paid for a jewel. The De Beers Centenary Diamond were classified as D levels by the Gemological Institute of America. It's the highest grade of a diamond that colorless and internally and externally flawless. The diamond itself is 273.85 carats (54.77 grams) in weight. This diamond is the 3rd largest diamond has been produced by De Beer's Premier Mine. 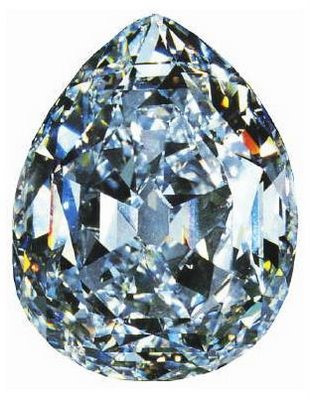 The Cullinan Diamond is a pear shaped diamond. It is the largest rough gem quality ever found. Even polished, it is still incredibly large that weighs 530.20 carats. It is also known as the Star of Africa. The diamond gets its name because it is the largest of nine stones that were cut from the Cullinan diamond. The Cullinan Diamond was discovered in 1905 in the Premier Mine in South Africa. It was named after the mining company's chairman, Thomas Cullinan. The diamond was presented to King Edward VII as a token of loyalty. The King hired the firm of I.J. Asscher of Amsterdam to cut the diamond. The diamond took eight months to cut and it was cut into nine principal stones and 96 small brilliants, as well as nine carats of fragments that are unpolished. The Cullinan is now part of the crown jewels. It is mounted in the head of the Sceptre with the Cross. It is valued at $400 million.Currently. The Hope Diamond is a rare and amazing gem. 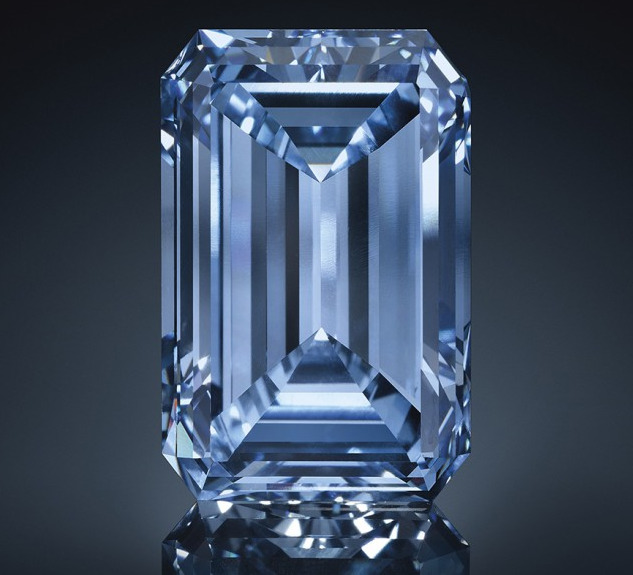 The Tavernier Blue diamond weighs 45.52-carats and is without a doubt, one of the most well known diamonds in the world. The Hope Diamond received its name while it was in the possession of Henry Philip Hope. 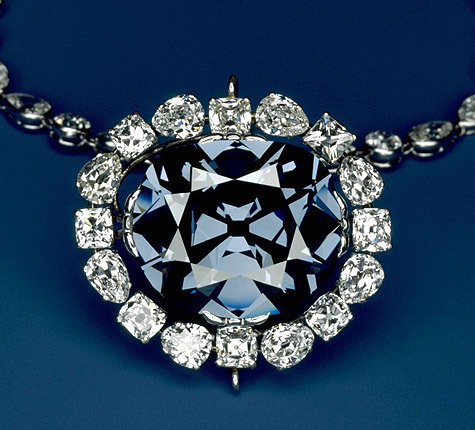 The Hope Diamond is a Fancy Dark Grayish Blue Diamond, weighs 45.52 carats. The diamond was found in India (1642). Originally the diamond was 132.00 carats. It was set in the royal crown of Luis the 14th. It was stolen during The French revolution. 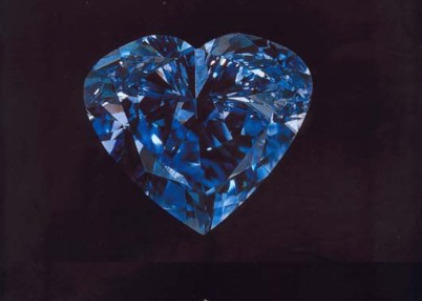 In 1830 a blue diamond was bought by a diamond dealer named Henri Thomas Hope. There are people that believe that this diamond is part of the hope diamond. There is also a legend one might say that a curse was placed on the stone and brings bad luck to anyone that owns it. This mystical 45.52 carats diamond seems blue in colour to the naked eye, but under ultraviolet light gets a red phosphor look. You can see it in the Smithsonian Museum of Natural History in Washington DC. Today you can find this yellow diamond in the French Crown Jewel collection in the Louvre in Paris, but it has had many owners. It was named after Nicolas de Harlay, seigneur de Sancy, a French soldier and diplomat from the 16th century. 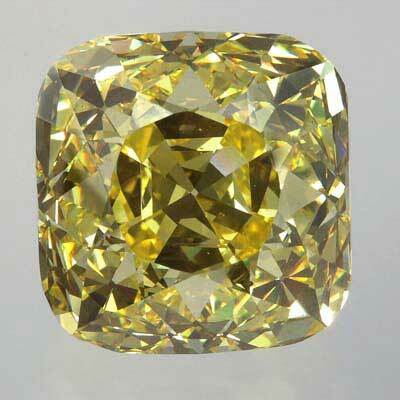 The pale yellow diamond is 55.23 carats and shaped like a shield. As the diamond is so rare and expensive, to this date the exact value is unknown. Koh-I-Noor means as "Mountain of Light" from Persian. It has been said in the past that whoever possessed the Koh-I-Noor ruled the world. It's a 105 carat (21.6 grams) diamond that was once the largest known diamond in the world. The Koh-I-Noor was originated at Golconda in the Andhra Pradesh state of India. It was owned by various Sikh, Mughal and Persian rulers that fought each other from time to time. The stone was found to measure 36.00 x 31.90 x 13.04 mm. The gem remains the property of the British crown and is kept in HM Tower of London and it's a popular tourist attraction. The diamond comes with its own legend that implies that the diamond dates back before the time of Christ. Several experts theorize that the Koh-I-Noor made its first appearance in the early 1300s. The first document of the Koh-I-Noor's existence dates back to 1526. At that time it was owned by the Indian conqueror Babur. The diamond's value is listed as priceless.